Philippine employers are now feeling the impact of the Fourth (4th ) Industrial Revolution, with changing work environments and flexible work arrangements as one of the earliest manifestations. 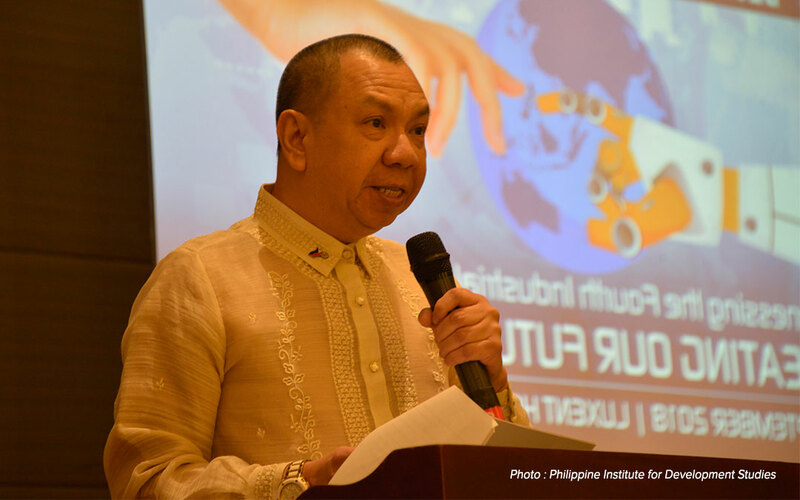 This was expressed by ECOP Director-General Jose Roland Moya during a recent forum on the 4th industrial revolution and its impact on the business sector which was organized by the Philippine Institute of Development Studies (PIDS). “In the Philippines, companies will have a hardtime adapting new technologies as evidenced by the country’s regional and global rank on firm technology absorption,” Moya said. The reasons behind the slow progress is generally due to lack of resources, information, and capability. A MacKinsey survey conducted in February this year specified these reasons to be the inability to define a business plan, no integration and coordination across business units, worries over cybersecurity, and the lack of digital talent to execute any transition roadmap. “The lack in resources and capability is more pronounced in the case of micro, small, and medium enterprises which compose more than 99% of Philippine industries,” Moya said. Inability to catch up with technological advancements can only lead to a decline in competitiveness due to untapped opportunities to maximize productivity, This occurs both at the national and global levels, where firms not only lose to competitors within their countries which are able to adapt, but also within the context of the global supply chain. Moya observed that these exponential changes in business landscape is occurring simultaneously with constant redefinition of labor standards and regulations within the country. “Compliance is getting more difficult and expensive since labor regulations are getting more stringent,” he explained. Instead of investing time and resources on the needed adjustments resulting from technology change, employers are somehow distracted by the changing and ambiguous requirements of compliance to some labor regulations, Moya said.